Designer, Debi walker graduated from York College with a degree in fashion, before being accepted into Central St. Martins, London to do a Post Graduate in pattern cutting. Her first job in fashion was in tailoring before she took part in the first season of Project Catwalk, hosted by Liz Hurley. Judges and mentors included, Ben de Lisi, Julian McDonald and Lorraine Candy. Debi made it to the final with two other contestants and showed her own collection at London Fashion Week 2005. Since then she has designed for Liz Hurley’s swimwear range, Miss Selfridge and is now working for Asos. She’s making her first ever trip to Dublin this week to help judge the 20 finalists designs at the Nokia Young Fashion Designer Awards. She took a moment to answer a few questions from this very appreciative blogger. Whisty: Hey Debi, thanks for taking the time to chat! Can you tell us about landing your first job in fashion, working for a London tailor? Debi Walker: Donal Campbell was the name of the shop; it’s really high-end; it’s like Saville Row but for women basically. He sold to “ladies of London”, high society women; Winston Churchill’s granddaughter was one of his customers. When I look back now I think, “Yeah, I learnt so much working with him. He was 70-odd years old so he literally knew everything and everything had to be perfect and precise. It’s completely different being at college and then actually going to work for somebody like that; learning the technology behind really classic, simple designs. W: You then took part in season 1 of project catwalk, I watched it recently on YouTube and you seemed to handle it all really well. DW: I look back now and I cringe. What was funny at the time was the amount of people who would write on websites, “Oh she’s being really rude!” Lots of people would write good things but lots of people would write bad things. My brother would call me and say, “Oh you’ve got to read this one”. W: But you made it to the final 3 meaning you were able to show at London Fashion Week,. That must have been incredible? DW: That was brilliant. Having a collection shown at London Fashion Week was a really good experience. It was the very first Project Catwalk so I had no idea what I was letting myself in for. W: Afterwards you started working in retail and most recently you designed a collection for Asos? DW: Asos Africa just launched 3 weeks ago and practically sold out on its first day. So that was really good, it’s really exciting when you put all that hard work in. 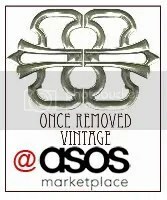 The director [of Asos] came up to me and said, “We’re going to have to take it off the site.” I was like, “Oh my God… why?” He said it’s nearly sold out; it’s really good when someone says that. We’re currently working on the second Africa hit at the moment. Hopefully that will launch in July we’re doing the production and everything out in Africa at the minute. W: So it’s kind of like your first collection since showing at LFW? Yeah kind of; I mean it’s the Asos label, for Asos and I’m part of a big team and we all have an input into things. W: So the tables will be turned and you’ll be doing the judging at NYFDA have you any idea what to expect? DW: I’ve tried not to think about it too much because I think you need to go into things with an open mind and just wait and see what designs people come up with. People forget the blood sweat and tears that goes into creating a design. I know firsthand what it’s like to put a design together and how much work goes into it. W: Will you find it hard to be a judge? DW: I know what it’s like being judged, I think you’ve still got to be quite encouraging. Whether it’s something you like or you don’t, everyone has different opinions on things and I think that’s what you’ve got to remember. You might think something’s amazing but there might be another judge there that prefers something else. W: Have you been allowed any sneak peeks? DW: I haven’t no. We get shown everything on the day (Wed 24th March) and have a chat with each of the designers about their designs and how they’ve gone about things. I’ve been told a rough outline of what it is. I think until I get there I just don’t know what it is that I’m going to see, to be honest. W: Do you think basing a design on Nokia’s OVI.com it sounds like quite a tricky challenge? DW: I do yeah, but in a way it’s good because I know what it’s like to have a difficult challenge set for you and a really weird brief. With Project Catwalk, one of our first challenges was to go shopping in B&Q and put a dress together. W: God… I must’ve missed that one, it sounds horrendous! DW: Yeah I was. They didn’t tell us where we were going, they just took us to B&Q and we had a £50 budget and literally 10 minutes to run around with our trolleys. We piled them up with what we could buy with that budget and then made a dress out of it at the end which was a bit random. W: So what you just grabbed some chicken wire and tarpaulin? DW: Ha-ha, yeah and I went straight for the shower curtains which was a really bad idea actually, it really didn’t stitch very well. W: But surely your knowledge of pattern cutting must have come in very handy? DW: Well I thought that at the time, but actually no. W: There are 20 NYFDA finalists, which sounds like quite a lot of designs to judge, how will you decide what to look for? DW: I think that now I’ve been working in retail for a few years I think I’ll be looking for something that’s quite commercial as well. I think it’s easier to do something creative than something really wearable. I think it’ll be about that balance really. About something that is innovative and creative but still wearable. I don’t really know what to expect. W: I know last year was just really good fun, is that important? DW: Yeah, I think it’ll be nice to see that again because you get so caught up with being commercial it will be quite nice to see young designers just being really creative again. It will be nice to see that. W: Before you go, have you got any tips for the contestants? DW: Be truthful, be confident in your designs and don’t be too bolshy! The Nokia Young Fashion Designer Award exhibition takes place from Thursday March 25th to Sunday March 28th at Powerscourt Townhouse, D2. See the Facebook page for more details. All images are of the most recent Asos Africa collection. Just happened upon your blog…love it! Oh and the fact that your Irish too makes it that much better 🙂 Will be back! Any word on who won? I love the ASOS Africa collection, it is beautiful! « Tweed and Lycra… That shouldn’t work.